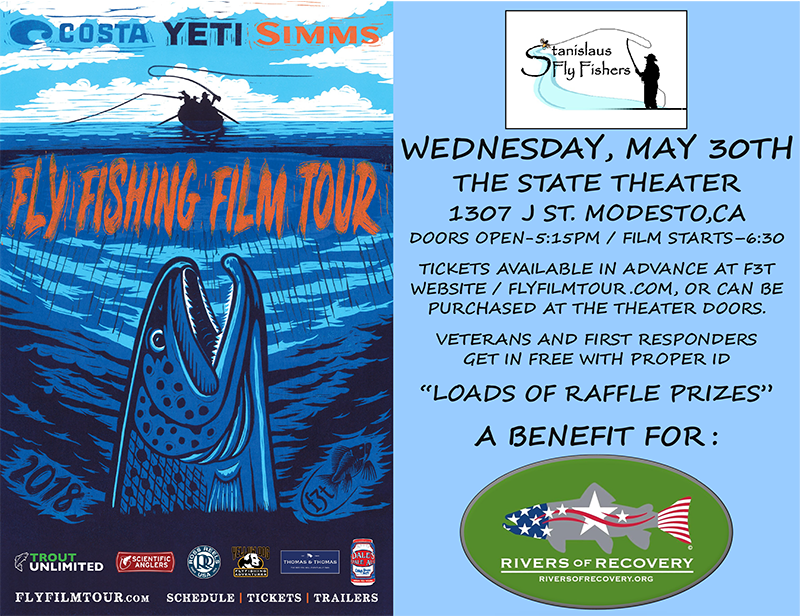 The Stanislaus Fly Fishers and Rivers of Recovery are proud to invite you to the 10th presentation of The Fly Fishing Film Tour (F3T) at the State Theatre in Modesto, California, on May 30, 2018! 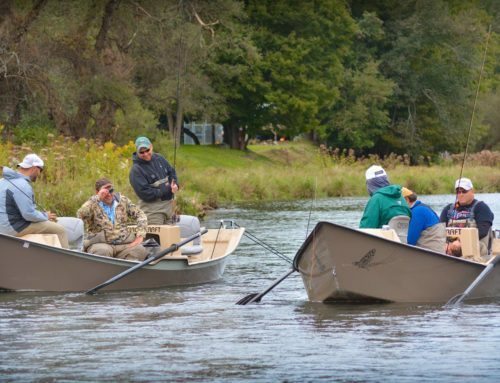 All proceeds will directly benefit Rivers of Recovery, helping us serve combat disabled veterans through rehabilitative fly fishing adventures! Attendance is free for veterans, first responders and students! 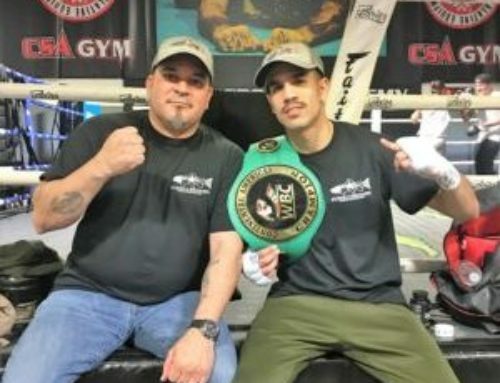 Our committee is headed by ROR board members and local veterans Randall “Gunny” Reyes and Derek “Doc” Mc Ginnis, and Stanislaus Fly Fishers webmaster stalwart supporter Mike Hewitt. My thanks to these gentlemen for all their efforts! Special thanks to Jim Mayol’s office staff Margie Reedy and Rita Espinosa who have pulled together the loose ends for each of our 10 years organizing this event! We hope that you can all attend the F3T on May 30, 2018. Download our pledge card, or visit our website or our Facebook page to support our veterans through Rivers of Recovery. Donations are easily made online. 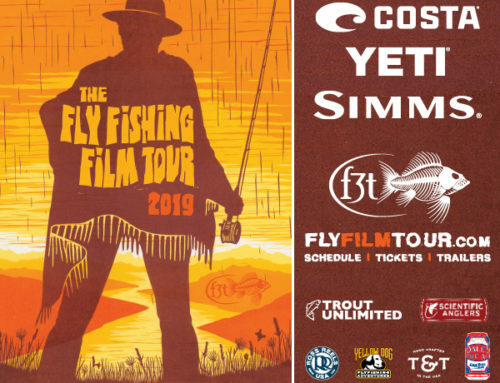 Please reference the “Modesto Fly Fishing Film Tour” for any online donations. Our “M.O.” for our local veterans’ trips remains much the same. We have agreed that if it ain’t broke don’t fix it but are always striving to enhance the river experience. We are enjoying the continued support of The Fly Shop in so many ways, most of all, their expert guides hosting our veterans on the Lower Sac. Lost Coast Outfitters rallies Bay Area support with a variety of gear and publicity. Gunny and Derek are working tirelessly with the additional support of Costa, Sage, Simms and many others! We continue to be the beneficiary of a river front home for base camp! At the film tour we will also view the excellent video produced by Platinum Peek Productions, which captured the essence of an ROR Lower Sac trip! The film made by these Oakdale raised Cal Poly videographers was recently named a finalist in the “25 Under 25 Film Fest” and they will also be present at the event to introduce their nominated film. Congratulations to Soren and Eriksen Dickens! 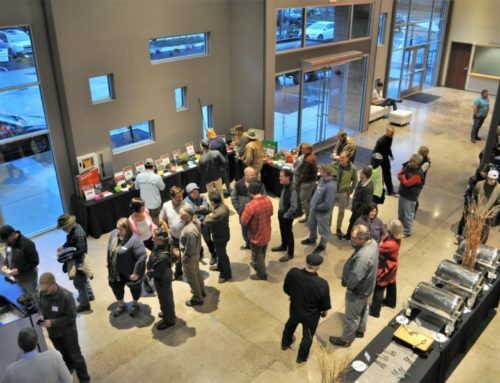 For those of you who choose to sponsor a veteran’s scholarship at the $2500 level, we will provide you or your company, “On Screen” and Facebook recognition, a Rivers of Recovery Hat and Shirt, 6 movie tickets and 6 raffle tickets for a variety of fly fishing equipment, hand tied flies, hats, buffs and much more (we are still seeking donation of raffle items but have an incredible supply already on hand). Donors of $100 or more will receive “On Screen” recognition and 6 raffle tickets. 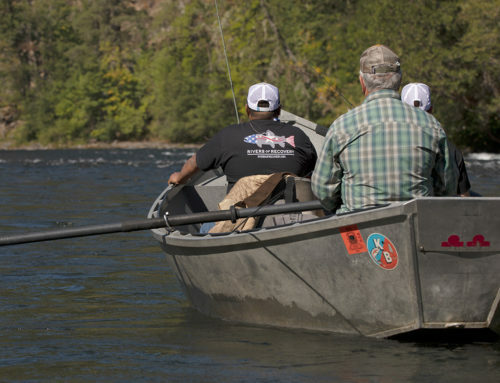 Special thanks to the continuing support of the Stanislaus Fly Fishers! They invite you to submit new or old fish pics which can be emailed to mdhewitt@pacbell.net, so we can display them as part of the video presentations. Finally, thanks to all our past and future contributors for their steady support of our local veterans! We look forward to seeing old friends and hopefully make new ones as well. See you there!